Pedro knows better than most how good a coach Pep Guardiola is but he is already convinced Antonio Conte should be regarded just as highly on these shores. It will be an emotional occasion for Pedro when Chelsea take on Guardiola's Manchester City side at Etihad Stadium on Saturday. After initially playing under Guardiola as a youngster for Barcelona B, he then won 14 of his 20 medals in his career at the Nou Camp during the former Spain midfielder's reign between 2008-12. However, after just four months working with Conte, Pedro believes the Italian deserves to be appreciated just as much. 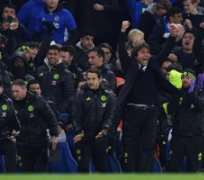 Conte has led Chelsea to the top of the table following a run of seven straight League wins and revolutionised their style of play in the process. The trusted 4-2-3-1 that has been used for many years has been replaced by a 3-4-3 and Conte is getting the best out of players who disappointed so much last term, like Eden Hazard, Diego Costa, Nemanja Matic, Thibaut Courtois and even Pedro himself. Asked by Standard Sport if Conte is proving himself to be just as good an addition to the Premier League as Guardiola, he said: “Yes. Antonio is a good coach, a strong guy with good ideas of football with a strong character. Conte certainly deserves credit for getting Pedro to start playing for Chelsea with the same quality as he did for Barcelona. The 29-year-old struggled after moving to Stamford Bridge for £21.4m 15 months ago. Indeed, he considered moving back there in the summer. But he is now impressing as a first-team regular, with five assists and three goals, one of which was a spectacular equaliser in the 2-1 win over Tottenham on Saturday. Pedro added: “I am enjoying my football more and I am very comfortable on the pitch and with my team-mates. This is the way. Things are going good for me, I'm scoring goals and I want to continue like this. I am full of confidence and this is the way I want to be playing for Chelsea. But I will take it game by game. “Am I glad I stayed at Chelsea? Yes. I am showing what I can do in a Chelsea shirt. But everyone is playing well and putting in good performances. We want to keep this form going. “We have won seven straight games and it's a very good moment for us, for the team and the supporters. Significantly, Chelsea showed against Spurs that players other than Hazard and Costa can get on the score-sheet. After Pedro's magic, Victor Moses got the winning goal.